Risk Management and the PGPA – is your agency prepared? The Public Governance, Performance and Accountability Act 2013 (PGPA Act) will replace the FMA Act and the CAC Act on 1 July 2014. Establish and maintain an appropriate system of internal control for the entity. The PGPA Draft Risk Management Policy sets out the Key Principles for Managing Risk in the Commonwealth and seven Risk Management Policy Elements. So what can you do to make sure that your Agency is in a position to be compliant with the Risk Management requirements of the PGPA? 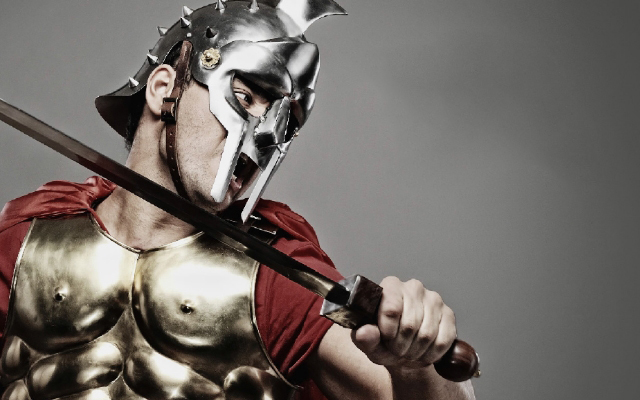 The Paladin Risk Management Services Diploma of Risk Management and Business Continuity and Advanced Diploma in Governance, Risk and Compliance addresses all of these Key Principles and Policy Elements which makes it an absolute must for all Agencies. Each entity must develop and maintain a written risk management policy. This policy must be endorsed by the entity’s accountable authority and contain a statement expressing this support. The policy must define the linkage between the entity’s approach to the management of risk and its strategic plans and objectives. The policy must contain an outline of key accountabilities and responsibilities for managing risk and implementing the entity’s risk management framework. e. responsibilities for building risk capability through the implementation of development and training programs (e.g. risk training). An entity must determine and describe the attributes of the risk culture that it seeks to develop. To encourage a positive risk culture, an entity’s risk management policy and framework needs to emphasise the benefits and opportunities of managing risk in achieving its objectives. Each entity must assess and maintain sufficient capability and resourcing to both implement the entity’s risk management framework and manage its risks. Each entity must review its risk management framework, the application of its risk management practices, and its risks on a regular basis. 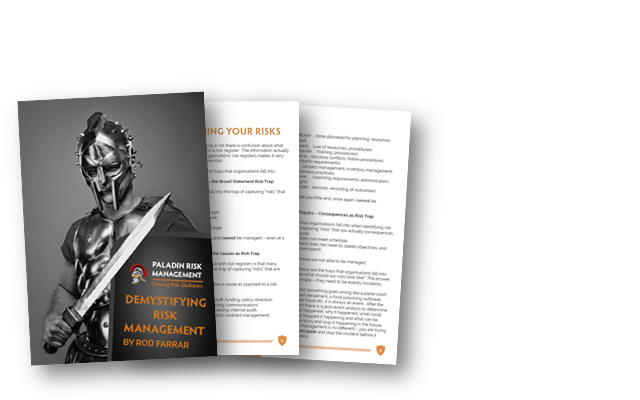 Ensure your agency is prepared for the implementation of PGPA by participating in one of the Paladin Risk Management Courses. Every Policy Element is covered in the Diploma of Risk Management and Business Continuity and the Advanced Diploma of Governance, Risk and Compliance.